Power your travel search of booking platform with the best intercity bus inventory in the world. 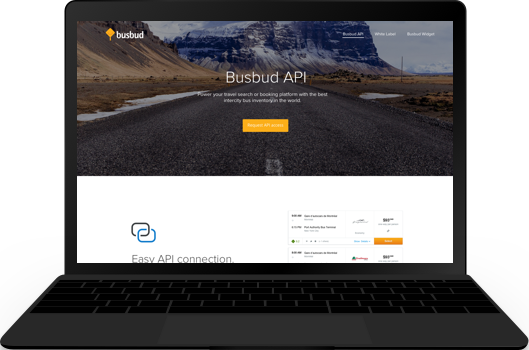 The Busbud API lets you seamlessly add bus ticket search and booking to your travel site or platform. Get access to top operators in Europe, North America and South America. In recent years, we’ve seen increased interest among our users for low-cost flights, hinting at the need for more budget options on our site. We’re excited to add bus tickets and appeal to these value-sensitive consumers.